Dr. Boden received his B.A. and M.D. from the University of Pennsylvania and completed an Orthopaedic Residency at The George Washington University Medical Center, followed by a Spine Fellowship at Case Western Reserve University Hospitals. Dr. Boden is currently a tenured Professor of Orthopaedic Surgery at the Emory University School of Medicine and serves as the Director of the Emory Orthopaedics & Spine Center, Interim Chair of the Department of Orthopaedic Surgery, Chief Medical Officer/Chief Quality Officer (CMO/CQO) of The Emory University Orthopaedics & Spine Hospital, and Vice President of Business Innovation for Emory Healthcare. 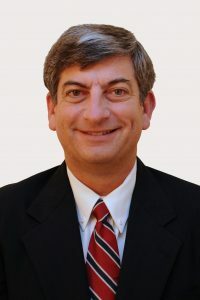 He was the Clinical Director of the Whitesides Orthopaedic Research Laboratory and has received many awards including the Volvo Award for Low Back Pain Research (4 times), The Marshall Urist Young Investigator Award, the North American Spine Society Outstanding Paper Award (7 times), and the prestigious AAOS/ORS Kappa Delta Research Award. He has received the Leon Wiltse Award for Outstanding Contributions to the field of spine surgery from the North American Spine Society. Dr. Boden has authored over 180 peer-reviewed articles on spine and basic science topics as well as 30 chapters and 7 textbooks. Dr. Boden is Co-Editor of Seminars in Spine Surgery, a Deputy Editor of SPINE, and served many years as an Associate Editor for Basic Science for the Journal of Bone and Joint Surgery. Dr. Boden served as Secretary of the American Orthopaedic Association after serving on the Executive, Finance, Membership, and Critical Issues Committees for two years as a Member-at-Large. He served as AOA President in 2013-2014. He has served as Secretary on the Board of Directors of The Orthopaedic Research Society, as President of The International Society for Study of the Lumbar Spine in 2009, and as President of The Eastern Orthopaedic Association in 2007 of which he currently serves as Managing Director. Dr. Boden’s basic research focus has centered on gaining an understanding of the biology of spine fusion healing and bone graft substitutes as well as the molecular control of bone formation and gene therapy applications for bone and intervertebral disc cartilage regeneration. His research is most recently focusing on the development of small molecules to promote bone and cartilage regeneration. He is a named inventor on over 30 issued patents. In 2012, Dr. Boden became a Founder and the Chief Medical, Science and Technology Officer of SkelRegen, a start-up company spun out of Emory University with the goal of developing small molecule technologies to promote the next generation of skeletal tissue regeneration solutions. Dr. Boden’s interests also include innovative health care delivery strategies in a managed care environment and he is Founder and Chairmen of the National Spine Network, a collaboration of 25 Spine Centers of Excellence around the U.S. focusing on outcomes research and quality improvement. That effort led to the largest NIH-funded multi-center prospective randomized trial studying spine surgery for patients with leg pain. He has recently helped Emory to plan an open a free standing multidisciplinary Musculoskeletal Outpatient Center (2004) as well as an Orthopaedics & Spine Specialty Hospital (2008). The hospital was designed using an innovative model of patient and family centered care and consistently receives some of the highest patient satisfaction ratings of any hospital in the U.S. Most recently, Dr. Boden has been the creator and catalyst for a creative long term partnership between Emory and The Atlanta Hawks NBA Basketball Team to build a state of the art Emory Sports Medicine Complex that includes The Emory Sports Medicine Center, Emory Physical Therapy, The Atlanta Hawks Practice Courts, basketball operations, and a Sports Science Measurement and Research Center. He has also forged partnerships with The Atlanta Braves, Atlanta Falcons, The Atlanta Sports City and Coca-Cola.